My day started with news that the Twitterverse is so infested with racist rhetoric that its spread is, well, automatic. Microsoft invented an artificially "intelligent" robot that would respond to conversations by mimicking language it encountered. Occupation of the narrative is effected in myriad ways, some visible and some invisible. Those of us who work in public education have been feeling the icy winds of racist rhetoric creeping through cracks in the structure of tolerance and inclusion we hoped our schools would provide. Parents incited by hate talk radio and 24/7 media coverage of the demagogue with the bad hair call principals to complain of teachers pushing their own political views on students. Teachers that ask students to investigate wild claims -- e.g. immigrants are ruining our nation, or all Muslims should be deported for our own safety -- are questioned by their bosses about how their bias plays out in the classroom. This has a chilling effect on academic freedom, especially if aimed at young teachers with little job security and large amounts of student debt. Another way to control the narrative is the cyber strategy of blocking access to websites with ideas that threaten powerful interests. One of my favorite international writers these days is Uri Avnery. He publishes a regular column on the website of Gush Shalom, a venerable Israeli peace and justice organization, and I subscribe to his columns via email -- which is good, because the Gush Shalom website is so often shut down by cyber attacks. Yes, I can wait awhile and try again, and I do. Sometimes, if I have time, and life's necessities are not too pressing. I am told that a new generation of Jews in America is turning their backs on Israel altogether, even supporting Israel-haters. That would be a pity. They could play a role in resurrecting the Israeli peace camp instead, doing their bit for an enlightened Israel, upholding the old Jewish values of peace and justice. For "new American Mussolini" read "the demagogue with the bad hair," and for "shouting up-and-down-jumping Jews" read "annual conference attendees" who went nuts over the demagogue's speech to AIPAC this week. Of course, AIPAC attendees also went nuts over Hillary's speech at their conference, as reported by Ben Norton in Salon. Her remarks signaled that, as far as this candidate is concerned, Israel can do no wrong. The words "occupation" and "settlements" were conspicuously missing. Because if you want to make it to the White House, you had better not say those words. The Obama administration has built more nuclear weapons, more nuclear warheads, more nuclear delivery systems, more nuclear factories [than the previous administration]. Nuclear warhead spending alone rose higher under Obama than under any American president. The cost over thirty years is more than $1 trillion. But Obama got the Nobel Peace Prize after making a big anti-nukes speech in Prague shortly after being elected the first time. How's that for occupying the narrative? 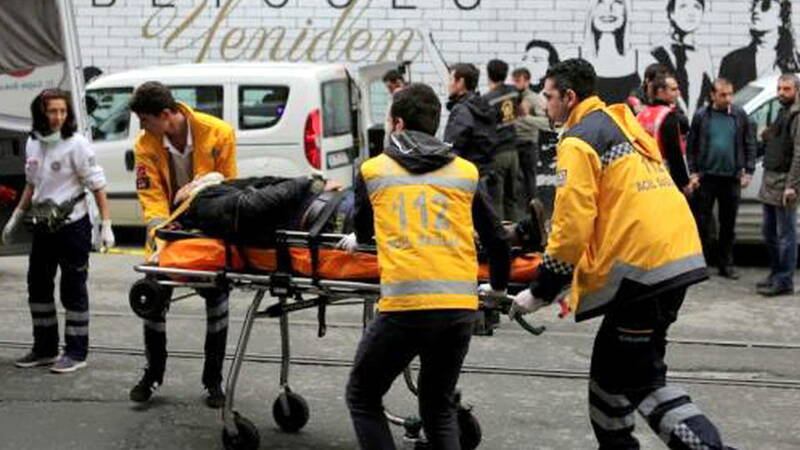 "In Istanbul, Turkey, a suicide bomber killed four people in a busy tourist area Saturday. Turkish officials said the bomber was a Turkish citizen who belonged toISIL. The attack killed an Iranian and three Israelis, two of whom also had U.S. citizenship." Source: Democracy Now! As for the bombings in Turkey and then Belgium this month, the usual talking heads made the usual rush to judgement about the "Muslims" responsible (for bombing other Muslims). The narrative was predictably framed by blaming "them" and a lot of saber rattling on behalf of "us." Publications like the ones I read will point out that ISIS is an organization largely created, funded and supported by U.S. allies Saudi Arabia and Turkey, but you will not hear about this in corporate media land. The hand of the U.S. remains largely hidden in this sad state of affairs -- unless you've actually been paying attention to the destabilizing of Iraq and Syria under NATO airstrikes for well over a decade.